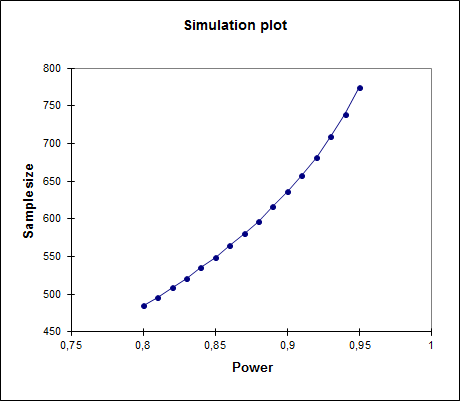 Ensure optimal power or sample size using power analysis. 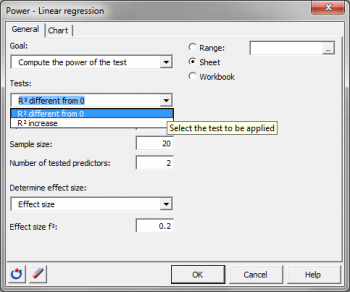 Power for linear regression is available in Excel using the XLSTAT statistical software. H0: Increase in R² is equal to 0 / Ha: Increase in R² is different from 0. Using variances: We can use the variances of the model to define the size of the effect. With varExplained being the variance explained by the explanatory variables that we wish to test and varError being the variance of the error or residual variance, we have: f² = varExplained/ varError. 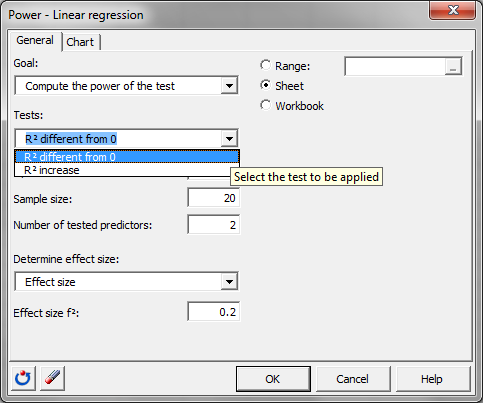 The power of a test is usually obtained by using the associated non-central distribution. For this specific case we will use the Fisher non-central distribution to compute the power. 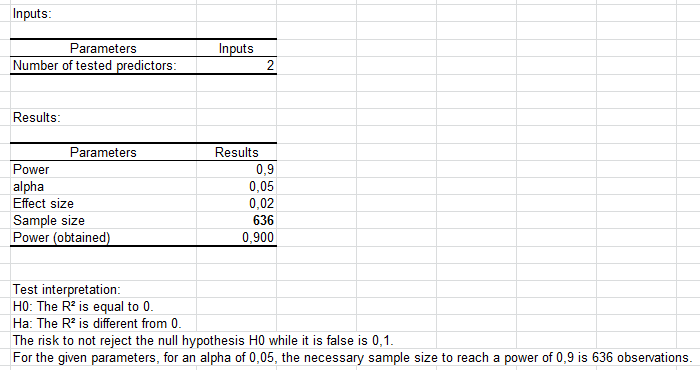 The power of this test is obtained using the non-central Fisher distribution with degrees of freedom equal to: DF1 is the number of tested variables; DF2 is the sample size from which the total number of explanatory variables included in model plus one is subtracted and the non-centrality parameter is: NCP = f²N.